ARK: Survival Evolved got another map today, a Tolkien-inspired landscape that doubles the game’s size. But the game’s developer, Studio Wildcard, didn’t make it. It was a mod from the community that became popular, prompting Studio Wildcard to offer a bunch of money for it and hiring the guy. This map, called The Center, is the second mod plucked from the community. Only two mods have become official so far. The next one, a mod called Primitive+ that forces players to use ancient toolsets to advance, arrives in July. 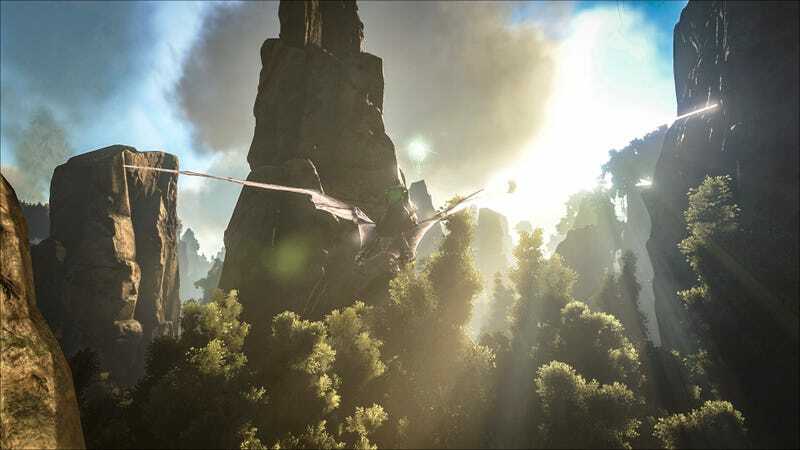 Studio Wildcard was impressed by The Center and Primitive+ enough to offer both of them jobs, which they’ve since accepted. That part won’t be the norm.